In 3E 402, the Kingdoms of Daggerfall and Sentinel went to war over ownership of the Isle of Betony. King Lysandus left the city of Daggerfall to lead his armies in what became known as the War of Betony, and Prince Gothryd accompanied him. In the king's absence, Queen Mynisera discovered proof of affair between Lysandus and court sorceress Medora Direnni, and banished her husband's mistress. Shortly before the end of the war in 3E 403, Lysandus realized he wanted to spend his life with Medora, who had returned to her home on the Isle of Balfiera. With Gothryd's help, the king hatched a plan to fake his death. The plot was formulated; on the eve of the climactic Battle of Cryngaine Field, the Daggerfall camp was visited by a delegation from Wayrest In this delegation was a minor lord named Woodborne, whom Gothryd knew. Also present was an impoverished noble allied with Woodborne, who was to switch clothes with King Lysandus, ride into battle the next day, and be killed in his stead. Gothryd would then be crowned king, and Lysandus could sneak off to Balfiera. The next day, the impostor donned Lysandus' armor and went into battle in his place. Suddenly, a mysterious fog settled across the battlefield, blinding the two sides. Prince Gothryd took this moment to loose an arrow at the false king, killing him with a single shot to the throat, in what became the official story of King Lysandus' death. Gothryd was quickly crowned the new king, and either met Sentinel's King Camaron in combat or challenged him to a duel. 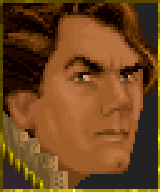 In any case, Camaron was slain by the young king, and the War of Betony thus ended decisively for Daggerfall. Per the terms of Sentinel's surrender, Gothryd was wed to Camaron's daughter, Princess Aubk-i. While this was seen in Daggerfall as a means to restore peaceful relations between the kingdoms, those in Sentinel considered Aubk-i little more than a prisoner of war. Meanwhile, King Lysandus was to be secreted away to Balfiera by Lord Woodborne before the battle began. However, Lysandus had refused to support Woodborne's plans to usurp the throne of Wayrest, so during their meeting Woodborne plunged a dagger between the king's ribs, killing him on the spot. Some have intimated that Prince Gothryd was part of this conspiracy to murder his father. While the kingdom was no longer at war, things were not entirely peaceful, for the specter of King Lysandus began haunting the streets of Daggerfall at night, moaning the word "vengeance". This led to some (not entirely unfounded) rumors that Gothryd had accidentally shot Lysandus in the heat of battle. "Only Crowned Heads will hold the Totem True […] Third is One Who Made One Slave and Many Free"
In 3E 405, the Emperor sent an agent of the Blades to Daggerfall to investigate the haunting and locate a missing letter. The letter, sent by Uriel VII four years before to then-Queen Mynisera, revealed that a powerful artifact had been rediscovered—the Totem of Tiber Septim. The bearer of this Totem had the power to control Numidium, the ancient Dwemer colossus once used by Tiber Septim to conquer all of Tamriel, and it was in the hands of none other than Lord Woodborne. After many adventures, the agent succeeded in taking down Lord Woodborne for Lysandus' murder. However, by then the Totem was no longer in his possession, having been given to (or taken by) King Gothryd, and was hidden away within the treasury of Castle Daggerfall. The agent retrieved the artifact on orders from the Empire, though its recovery immediately set off a bidding war between seven of the most powerful factions in the Iliac Bay region. Gothryd, however, simply sent his guards after the Totem. It is unclear if the agent surrendered the artifact to these guards or to Gothryd himself, but the king recovered the Totem. Gothryd then sent the agent to speak to his grandmother, the sorceress Nulfaga, in order to recover the final missing piece of Numidium from Aetherius, the Mantella. Once this was done, King Gothryd activated Numidium on the 9th of Frostfall, 3E 417. What followed became known as the Warp in the West, a distortion of time in which each of the powers that bid for the Totem activated it simultaneously. Daggerfall and the other major kingdoms clashed in titanic battles until the event ended on the 11th. Gothryd's kingdom had expanded to encompass all of western High Rock, from its new border with Wayrest at Anticlere to Ykalon in the north. Curiously, the massive devastation caused by the Warp in the West led to a period of relative peace in the region. As of 3E 432, Gothryd and Aubk-i were known to have four children, and their son Camaron was wed to Lady Kelmena of Camlorn. Corpse Preparation v I mentions rumors that King Gothryd could institute the Imperial practice of donating the corpses of criminals for Necromantic study as a deterrent to bandits and pirates. This page was last modified on 26 February 2019, at 21:46.